Along with a desire to visit two good friends who are currently living in Australia, I've now found a third reason to make a trip Down Under - to visit AURA Home. 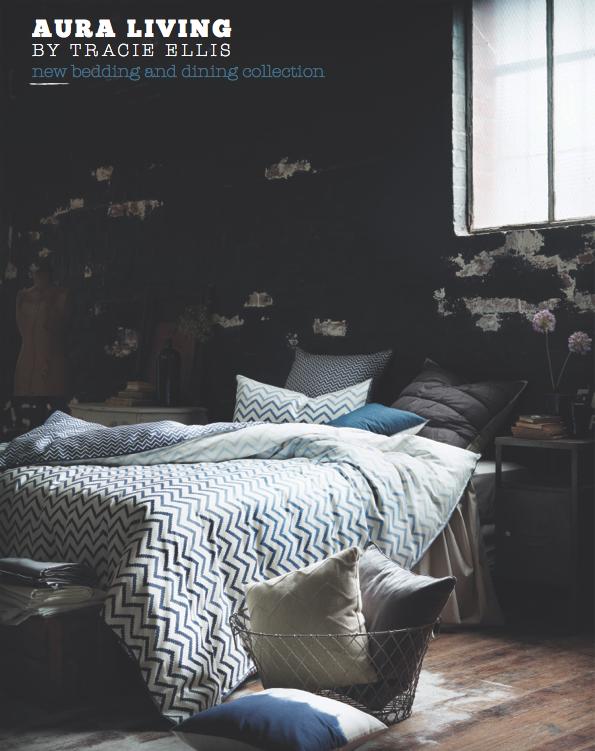 The Australian brand created by Tracie Ellis has recently released it's latest collection, this time expanding beyond bedding to include tabletop linens. 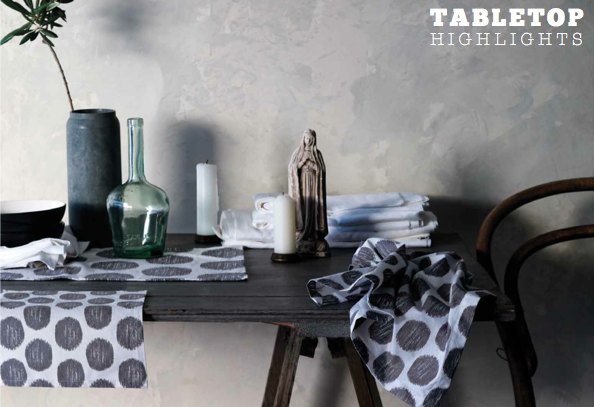 Celebrating their 10th anniversary both the bedding and tabletop offerings cater to a range of design tastes. Whether you like to go bold with graphic prints or keep things muted with gentle hues, there's a solid mix of designs and finishes to suit your preferences. Some of my favourite pieces include the Inka table runner, which was inspired by the graphic steps of the Inka Trail - it's saturated hue reminiscent of South America's strong, bold colours. 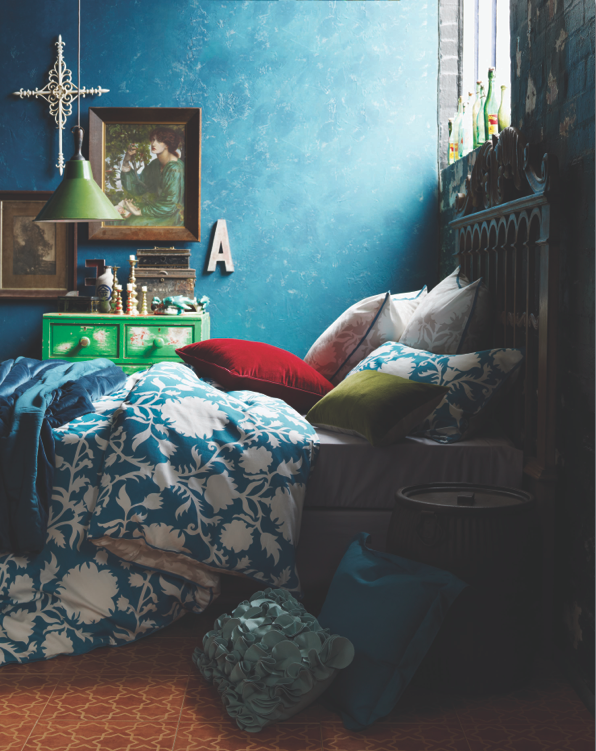 Given my love for colour, it's no surprise that I also gravitate towards the Seinna Caribbean bedding (2), which is described as having a breathtaking blue of a tropical lagoon. 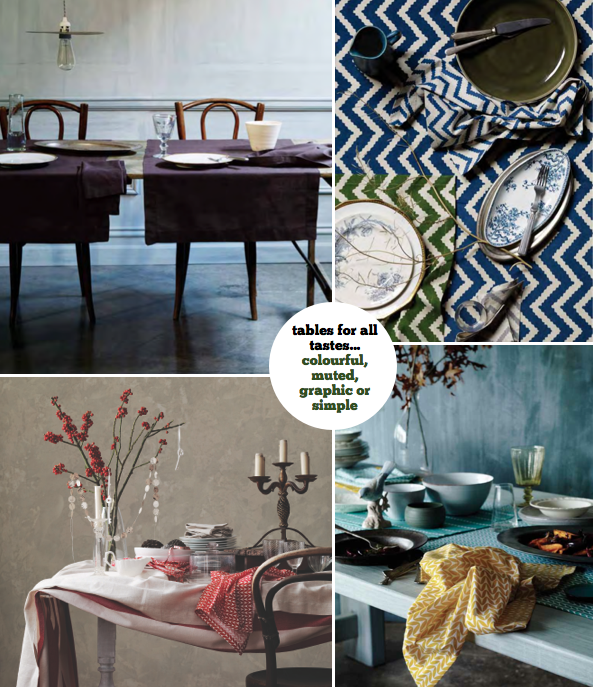 Which of the bedding and tabletop looks appeal to you? The table runner made me so happy, in fact I think I need that. 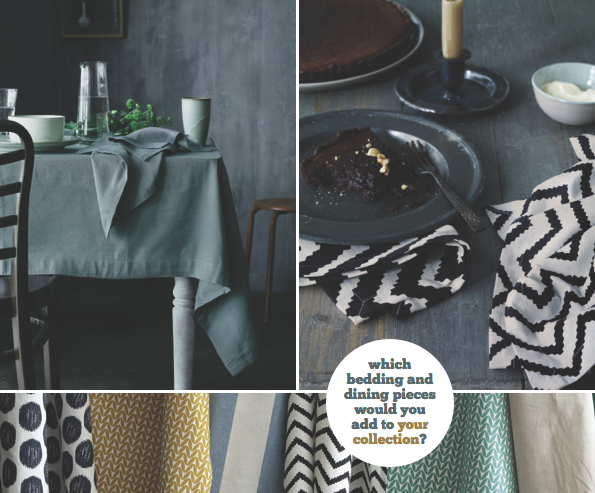 What is it about textiles that just add that extra something...it doesn't hurt that these are just fabulous! I am really loving the deep blue and white chevron patterns!! Beautiful all! 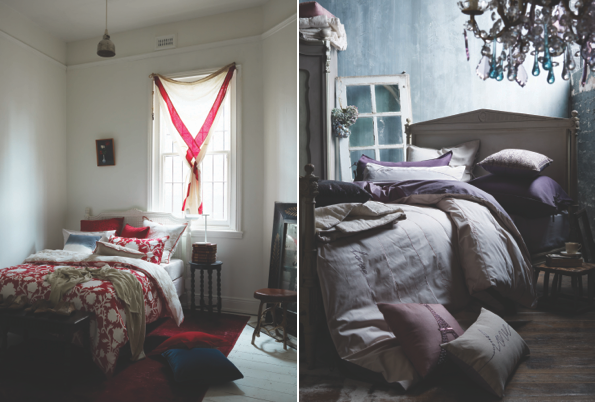 One can never have too many good linens to dress up a space, and these do not disappoint! Nice collection and love all the colors and patterns! Yeahyah - Down Under is where it's at! oo so nice. my oh my and how inspiring. 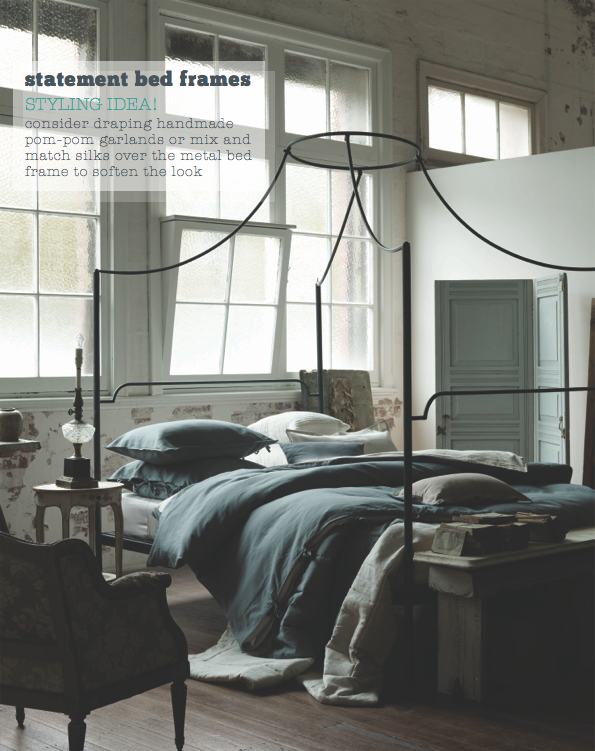 I love the idea of the pompoms or silks over the metal bed frame. All the bedrooms look so cozy. I want them all. Only thing missing is a nice pup and a boo to snuggle with. Speaking of, Timmy and Bea are back! Ain't gonna lie though, it was nice to have the entire place to myself. ;) Btw, if you ever go to Australia, ring me up! Good on you Will! What a great spot! wow, thanks to share with us such a nice pics, I love this post. I love the color of the wall in the 2nd photo. Great post. 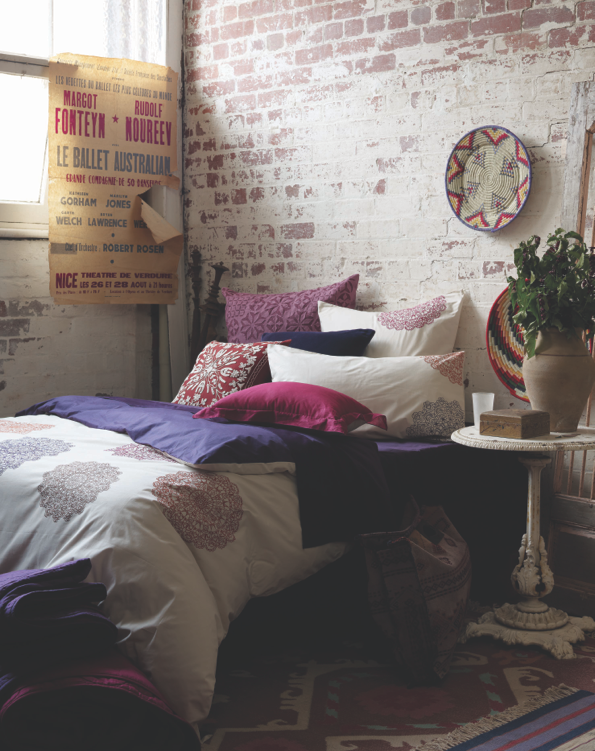 I have a desire to make small changes with bedding and throw pillows lately. AHHH! I love all of this!!! All so pretty. Love all the tabletop business! As for Australia, you have to visit! We go back every year. I adore Melbourne, and Sydney is pretty fab too. You'd love it! Love, really love the colors here. You have such a great eye! Oh. My. Goodness! 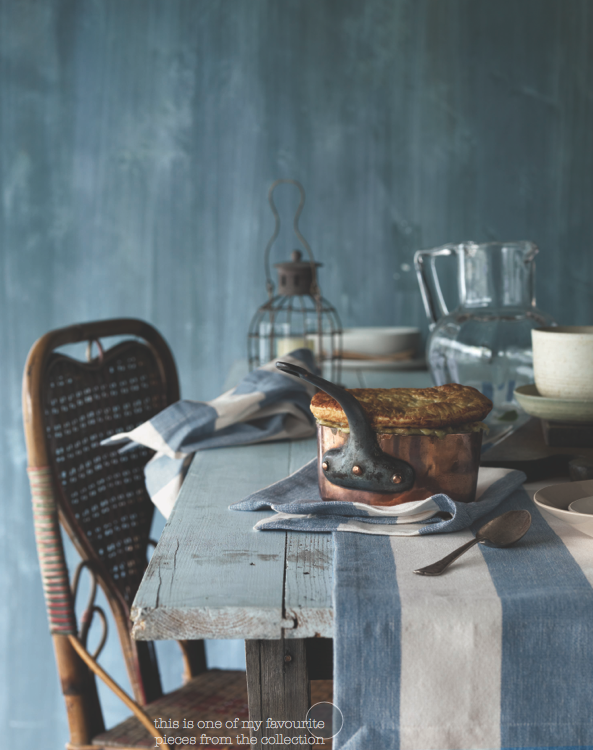 I think I've died and gone to linen heaven - love the gray and blue patterns they create. So so beautiful!! Great linen...but I especially love the overall room in the second image down. The blue wall, the bottles on the windowsill, the light... just gorgeous.